This is an unofficial translation. See the original in Korean on the National Institute of the Korean Language website. * When 시 si for ‘ch’, 리 li for ‘lh’, 니 ni for ‘nh’, or 시 si for ‘x’ is combined with a following vowel, write them as one syllable. * As ‘k, w, y’ are used in loanwords, in Portuguese words derived from loanwords, or in internationally used abbreviations or signs, and do not form part of the Portuguese alphabet, transcribe them to be close to the pronunciation of the particular loanword. * (Braz.) is the transcription used for Brazilian Portuguese. Follow the table and transcribe according to the following specificities. Write ‘c, g’ as ㅋ k, ㄱ g respectively before ‘a, o, u’ and as ㅅ s, ㅈ j before ‘e, i’.  Write ‘gu, qu’ as 구 gu, 쿠 ku respectively before ‘a, o, u’ and as ㄱ g, ㅋ k before ‘e, i’. Write ‘d, t’ as ㄷ d, ㅌ t. However, in Brazilian Portuguese, write them as ㅈ j, ㅊ ch before ‘i’ or before word-final ‘e’ and ‘es’. Write word-final ‘-che’ as 시 si. If a word-medial ‘l’ comes before a vowel or a nasal not followed by a vowel, then write it as ㄹㄹ ll. However, write ‘l’ following a nasal as ㄹ r even if it comes before a vowel. Write ‘l’ as a syllable coda word-finally and before a consonant. However, in Brazilian Portuguese, write it as 우 u before a consonant or word-finally, while writing word-final ‘-ul’ as 울 ul. Write ‘m, n’ as ㅁ m, ㄴ n respectively, and write both as syllable coda ㅇ ng word-finally. Write the ‘n’ in word-final ‘-ns’ as syllable coda ㅇ ng as well. In the sequences ‘ng, nc, nq’, if ‘g, c, q’ is transcribed as ㄱ g or as ㅋ k, then write the ‘n’ as syllable coda ㅇ ng. Write ‘r’ as ㅎ h word-initially or after ‘n, l, s’, and as ㄹ r, 르 reu otherwise. Write as ㅅ s word-initially or before a vowel, and as ㅈ j between vowels. Write as 스 seu before a voiceless consonant or word-finally, and as 즈 jeu before a voiced consonant. Write ‘sc’ and ‘xc’ as ㅅ s before ‘e, i’. Write ‘sç’ always as ㅅ s.
Write doubled consonants as if they were not doubled. However, write ‘rr’ as ㅎ h, 흐 heu and ‘ss’ as ㅅ s, 스 seu. Write ‘o’ as 오 o, but write it as 우 u word-finally or in ‘-os’. Write ‘e’ as 에 e, but write it as 이 i word-initially in an unstressed syllable. Write it as 으 eu word-finally, but in Brazilian Portuguese write it as 이 i. Write word-final ‘-es’ following ‘p, b, m, f, v’ as 에스 eseu. Write word-final ‘-es’ as 으스 euseu otherwise. However, in Brazilian Portuguese, write it as 이스 iseu. The stress rules for Portuguese are as follows. Words ending in the consonants ‘l, r, z’, the vowels ‘i, u’, or the nasal sounds ‘im, um, ã, ão, ões’ receive stress in the final syllable. When the stress is marked as ‘á, é, ê, ó, ô, í, ú’ etc. in the word, it is stressed there. Otherwise, the penultimate syllable is stressed.